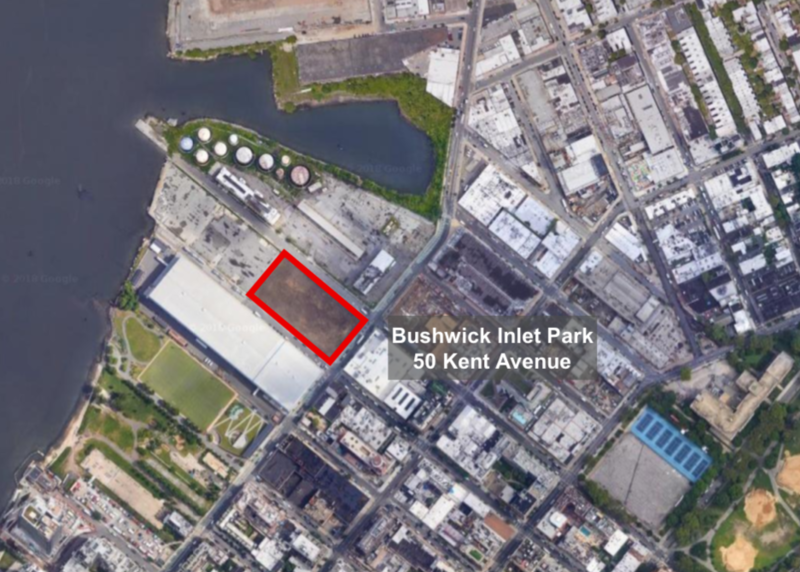 WILLIAMSBURG – As the last new parks to be built in North Brooklyn progress through their design phase, Community Board 1 has approved the design for a new portion of Bushwick Inlet Park at to be developed at 50 Kent. During a meeting of the Parks and Waterfront Committee for CB1 last week, some 50 people turned up at Bushwick Inlet Park to get the first look at design plans for both the new portion of Bushwick Inlet Park at 50 Kent and for the Box Street Park. 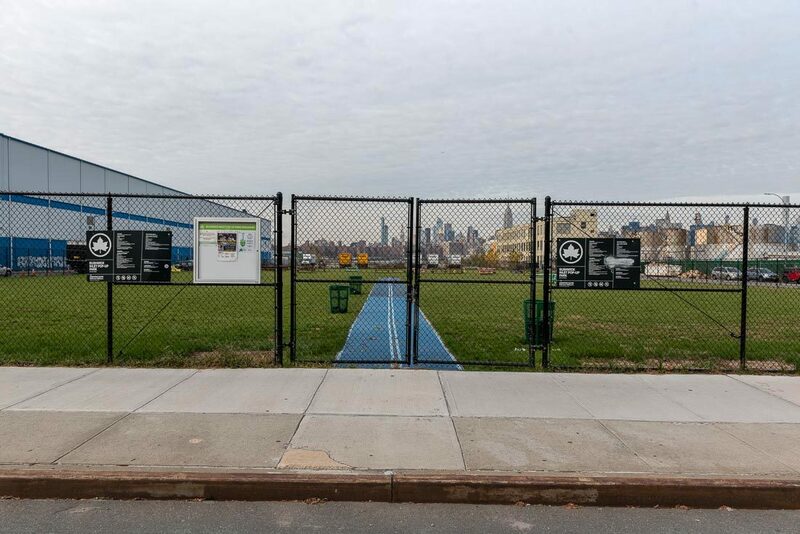 After discussion, the Parks Committee agreed to approve the Parks Department’s plan for the parcel of Bushwick Inlet Park, though with a few stipulations about plantings and materials used for the project. At the Community Board 1 general meeting on Tuesday, November 13, the NYC Parks Department presented an updated vision of 50 Kent, a small portion of the greater Bushwick Inlet Park set to be developed. 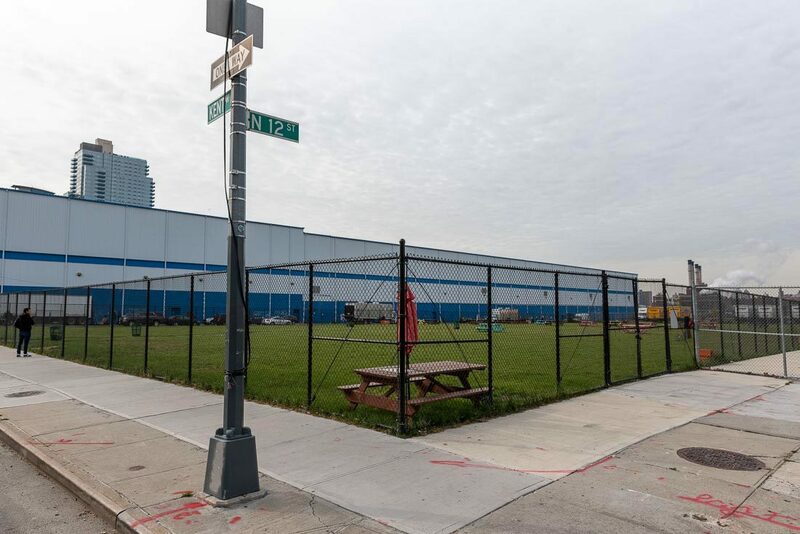 Currently, 50 Kent is used as a “Pop-Up Park” between North 11th and North 12th Streets, a grassy open space between the STORAGE FACILITY and the old Bayside Oil depot. As the Parks Department works towards realizing the Greenpoint Williamsburg Open Space Master Plan, parcels of Bushwick Inlet Park will be available piecemeal—an aspect the department stressed to residents to temper expectations that the new space will satisfy all their recommendations. When the plans were first presented to the Parks and Waterfront Committee last week, both committee members and public attendees raised numerous concerns. Many had worries about flooding—the experiences of Hurricane Sandy still firmly in the minds of residents. While 50 Kent won’t be the nearest park to the water, members asked for trees and groundcover that could survive possible inundation. Additionally, Steve Chesler, from Friends of Transmitter Park and a CB 1 member, brought up the prospect of year-round plantings that would make the park attractive in all seasons. Others found the water-play area for children to be a bit bland and speculated on its accessibility to kids of differing physical ability. A number of commenters also called for more exciting seating options than the classic benches ubiquitous throughout New York’s parks—ideas like natural, granite boulder seating were pitched, and though there were concerns about graffiti, designers agreed to work with Parks to see what they could do. At the meeting last night, the Parks Department presented the revised plan, courtesy of Stantec, the engineering company hired to plan the park. 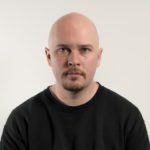 Many of the concerns from the previous meeting had been addressed, and committee members were generally pleased with the result. A careful selection of trees and hardy groundcover will be used in case of flooding, while new permeable pavers replaced asphalt pavers in about half of the walkways. A colorful array of trees and flowering perennials were also presented in a year-round design effort to make the park attractive no matter the season. Though the Parks department wasn’t able to accommodate every request—the classic World’s Fair benches will make an appearance, despite some protest from meeting attendees—new powder-coated steel lounge chairs and cafe seating will be incorporated into the park, along with granite boulders designed for sitting. Caponegro stressed that even getting “9 out of 10” of the recommendations taken into account was a major success in the collaborative effort. Following a motion, Community Board 1 members voted unanimously to approve the proposed design of 50 Kent, which will then head to the Department of City Planning for approval. Generally, Parks Department says that each phase of a park project will take about a year: design, procurement and construction. Currently, the design phase for 50 Kent is projected for completion by July 2019, meaning construction should start by the summer of 2020, and a finished park would open to the public in the year 2021.